Looks: Yeah this is exactly what he looks like. Inluding the dark markings. No blue flecks beside eyes though. 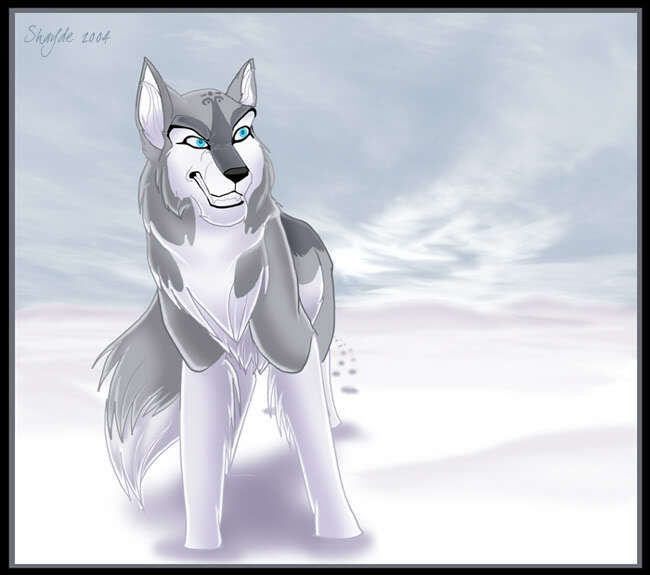 Personality: He is a bold and loyal wolf. He is vlumsy and often gives secrets away. 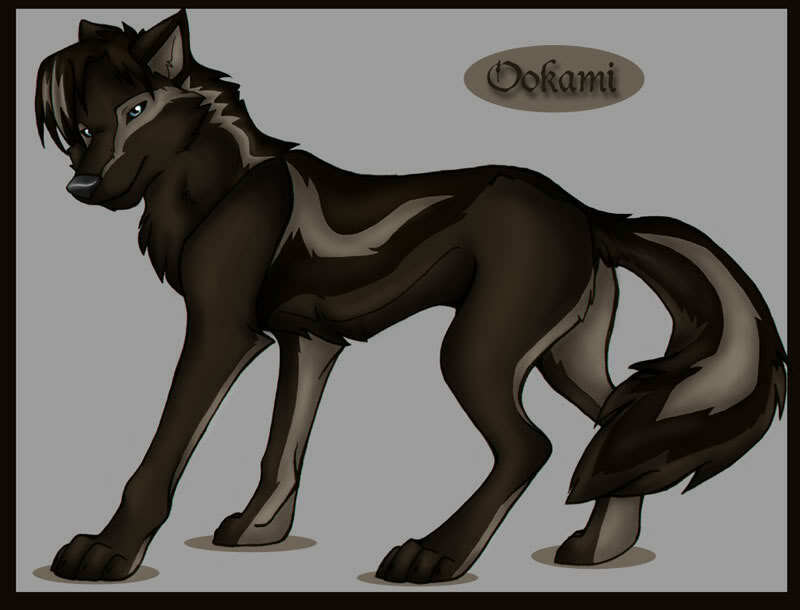 He is a little reckless like his sister Okami and sometimes gets into trouble. e knows the warrior code and keeps to it as best as possible but often gets muddled. Despite his clumsy and muddled brain he often has some very clever ideas. Personality: Secretive and quiet is she. She is slightly shy and has good ideas but keeps to herself. She knows her bounds and the bounds of others and keeps to them well. She is obedient and a bit reckless. She does really give much to her clan or the warrior code. Looks: With blue eyes like her mother. Personality: Exuberent and playful but a bit head strong. It is hard to make her believe that she is not right as she believe she always is. She is kind and exploritive and wishes to do well for her clan but sometimes is a bit clumsy. She is hopeless at keeping secrets but yu can't help telling her because of her gorgouse eyes! History: ish not born! what makes you think it will have a history. Personality: He is feirce and careless. He does not give much thought to what he will do or what he is doing. He believes the warrior code is a myth but he stays loyal to it anyway. He is always the one in trouble and is rather disobedient. I dun know if there will be more. Ookami watched Adulphus (Tips) run around, chasing the bugs that flew too close to the den. She laughed as a butterfly landed on her nose, its soft wings tickling her. Her eyes widened as her brother came charging towards her, his eyes intent on the butterfly, showing no signs of slowing down. "Adulphus! Stop!" The butterfly flew away and Ookami's annoying sibling crashed into her. Depends. If there was a previous post saying that he was hunting bugs it wouldnt be powerplay so much. Mhm... Fizzeh isn't very original. Adulphus from the book Adulphus Tips by Michael Murpago (TEH BESHT AUTHER EVEVEVEVEVEVER!) Abby, her friend's name. Sombre, Sombra in spanish... You see what I mean? *Cannot be bothered to quote* 'He is sure he will do well as he almost never gets in trouble. He can be a bit head strong and often gets into trouble' How does that work? He doesn't get into trouble. Same thing. I hash bad spullin. Personality: Bold and loyal. He is sure he will do well as he almost never gets in trouble. He can be a bit head strong and often gets into trouble. He sometimes forgets about the warrior code but he is used to getting in trouble. Please revise the Bolded/Underlined sentences... They do NOT work together. How can a pup never get into trouble but often get into trouble? unlees you are adopting then could you not post here. Flint if you may please delete all the unesicary post. THERE NOT!!!! 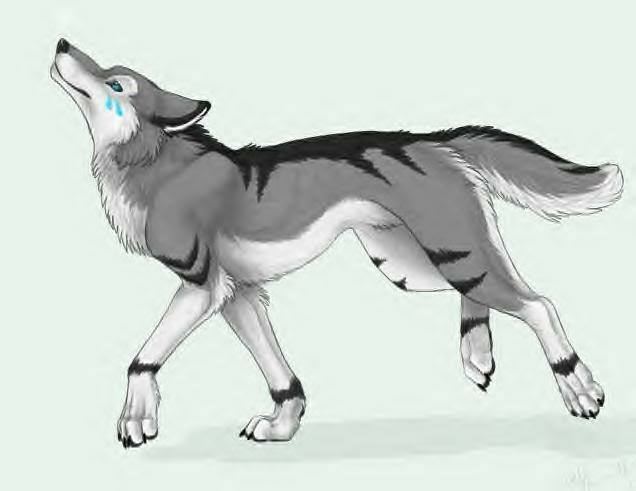 wolvine you can help by not posting here EVER again. You are not adopting so don't post. yeah I know the problem. Wolvine is just posting nonsense though. And manyof the mods or admins that have posted have done the same.